MTS actively hiring Company Drivers and Owner/Operators!! 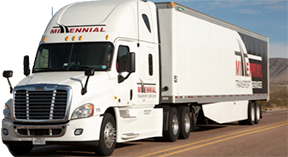 Millennial Transport Services is a customer centered asset based carrier providing truckload solutions throughout the United States, Canada, and Mexico. We utilize state of the art equipment and technology to provide the highest quality of service and hire highly skilled drivers to meet your company's delivery needs.